Why do Kitchen Cabinet Refacing? 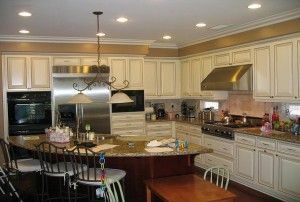 Many companies, including I&E Cabinets, can easily do kitchen cabinet refacing in 2 to 3 days, in most cases. Refacing means hardly any life interruptions. Full remodeling takes longer. 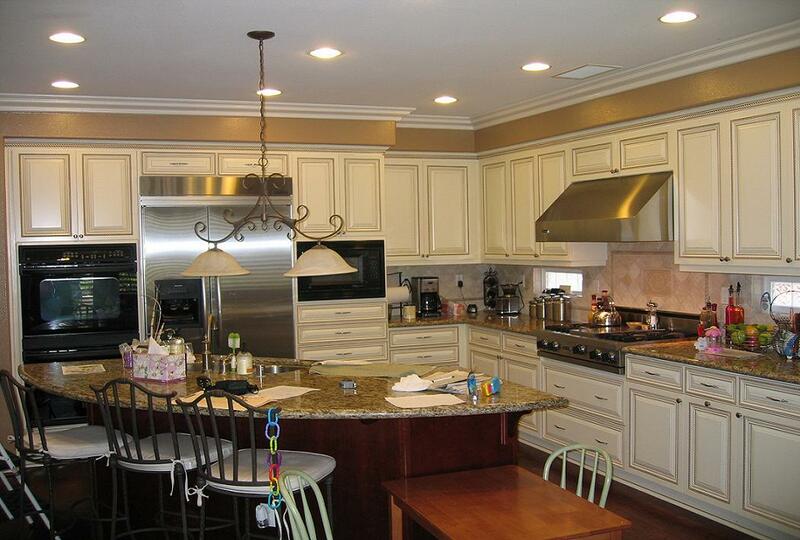 Replacing the counter tops, patching walls, repainting can be a hassle you don’t want or need. Looks like New but done in 2 to 3 days for a lot less money. With kitchen cabinet refacing you get your money’s worth. It is fast and painless. Your cabinets will look like new. Everyone that sees your refaced cabinets will think they are new! They will never know that you just refaced the old cabinets and saved a bunch of money. During cabinet refacing we can also add some new cabinets in the mix. We can modify cabinets to accommodate new appliances like a dishwasher, new free standing stove or new wall oven. I&E Cabinets also builds new custom cabinets and we do full kitchen remodeling in case you want a radical change or the existing cabinets are falling apart. Check out our review page and see a video of past customers. We have also have provided links to independent sites like Citysearch. We get 4+ stars consistently. We do more then kitchens. We do bathrooms, garages, offices, custom entertainment centers and more. Anywhere you want a cabinet, we can design it and install it. Remodel or Buy a New House? Remodeling to Resell? Read This! We serve most of the greater Los Angeles California Area, Ventura County, Orange County, and San Diego County. We’ve worked all over Van Nuys, Beverly Hills, Manhattan Beach, Encino, Santa Monica, Pacific Palisades, Long Beach, Glendale, Pasadena, Sherman Oaks and Probably near you!